 Situated one block from the S. Broadway and E. Mississippi intersection in the heart of Platt Park, Hanover Platt Park luxury apartments deliver the city at your doorstep. Take a short walk north to catch the RTD Light Rail stop at I-25 and Broadway, where it's a quick trip to the DTC for work, Mile High Stadium for the game, or LoDo for a night out. If venturing out of your neighborhood isn't your cup of tea, you're in luck the Platt Park neighborhood has it all, all within walking distance from your home. From your home, head east by foot or bike and take in the ambiance of historic Old South Pearl Street, where a confluence of shops, restaurants, bars collide, merging the old with the new. On Sundays, venture out and meet friends and neighbors at the South Pearl Street Farmers Market, where locals and regional vendors gather and showcase crafts, jewelry and eclectic works of art for all walks of life. Head north and you'll reach Wash Park, one of the more idyllic neighborhoods and locales in the city. With the park's well-known jogging trails and a variety of craft breweries, it's worth a visit.